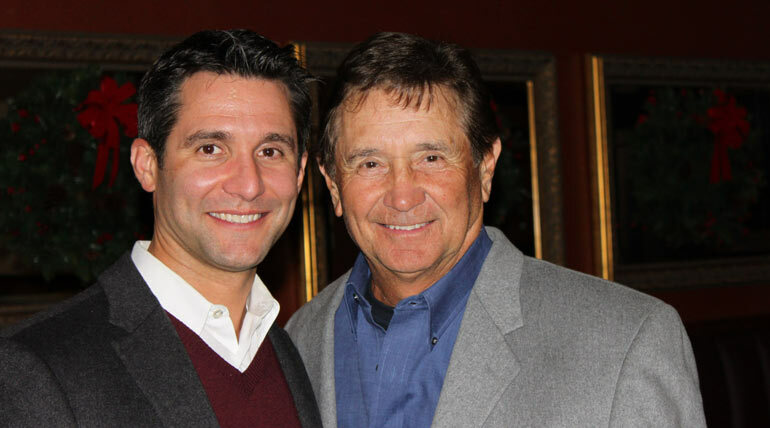 Sal Paone Sr. and Sal Paone Jr. Together they build to perfection. Sal Paone, residential home builder, headquartered in Spring House, PA., has long been recognized as one of the Greater Philadelphia area’s premier custom builders. Paone has built extensively throughout the region: contemporary and traditional from upscale townhomes to semi-custom communities to multi-million dollar custom homes. Additionally, under the umbrella of the Paone Companies, Paone is a successful land developer involved in numerous real estate projects including the ownership and management of apartments, townhouses and office buildings which together comprise millions of square feet of space. Drawing from over four decades of residential building experience, Paone has earned a reputation for using high quality materials in the construction of every home he builds with h4 attention to detail inside and out; regardless of the size or price range of the house. It is that commitment to quality and consistent attention to detail, reflected in each home constructed that not only defines a “Paone Built” home but also explains the company’s proven track record of success. Another key factor in the success of Paone Builders is the team of people who have been with the company twenty, even thirty years. Having an experienced team in the field and in the office; who make customer satisfaction their top priority, who take pride in what they do and how they do it and who love their jobs so much it shows, is a great asset which sets them apart from the competition. Sal Sr. has often referred to his long tenured team as his extended family, the heart and soul of his business and the #1 key to insuring a pleasurable, rewarding home building experience resulting in happy, repeat customers. After years of building beautiful homes, many happy customers have returned to scale up or scale down and to refer their children and their friends. In a world of mass marketing and advertising, the majority of Paone homes are sold by word of mouth and reputation alone. The history of Paone Builders can be traced back to the late 40’s when Sal’s father was an active stonemason in suburban Philadelphia. He had a genuine love of his craft and enjoyed teaching his young son how to work hard and how to create a finished product on which he could be proud to place the “Paone” name. Having worked long hours on the jobsite with his Dad; Sal credits him for his understanding of the value of hard work and responsibility. Paone Builders continues to flourish today with the valuable addition of Sal’s son, Sal Paone Jr. He brings with him a h4 knowledge of today’s cutting edge technology and has set in motion all the tools necessary to properly communicate in today’s high tech business world. Sal Jr. represents the third generation of the family with hands on building experience insuring that our “Built Solid” construction will remain Paone Builders’ legacy. Forty-five years have passed and some 3000+ Paone homes have been built throughout Montgomery and Bucks Counties in Pennsylvania as well as in New Jersey and Florida. Today, the name Paone has become synonymous with “Built Solid” construction, timeless architecture and exciting floor plans. When you own a Paone home you are part of a select group of homeowners whose personal residences are crafted to the highest level of quality and workmanship. Our mission is to be the best not the biggest builder in the community. We are committed to customer satisfaction, superior workmanship and exceptional relationships with our customers and all who are involved in the process of building your new home. We look forward to serving you and making your dream home a Paone home!